This topic contains 2 replies, has 2 voices, and was last updated by UniOpo 1 month ago. Friends, can you help me? I installed the “Content View” plugin into WP. I have created the role of “Local Administrator”. I wanted to give him permission to access this module, but I do not have it in the options list capabilities or the admin menu in defining role permissions. Attached picture. 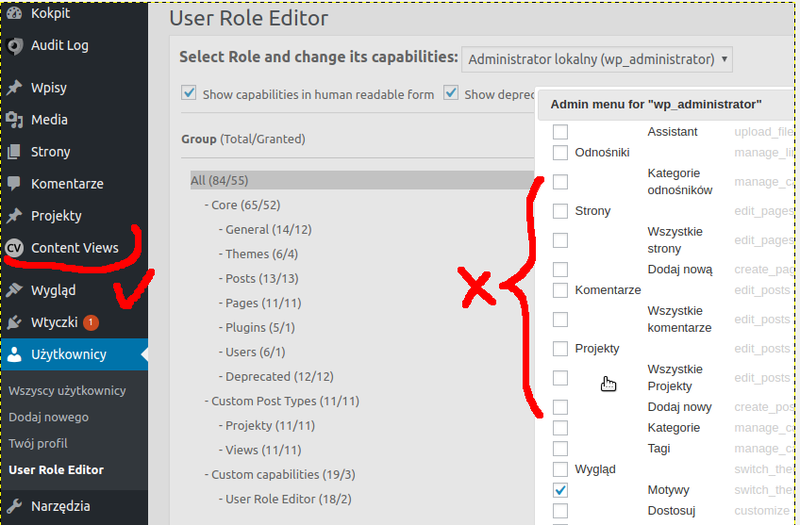 Open admin menu window for WP built-in administrator role, which has full list of capabilities and look what capability is used by ‘CV’ plugin to protect its menu. 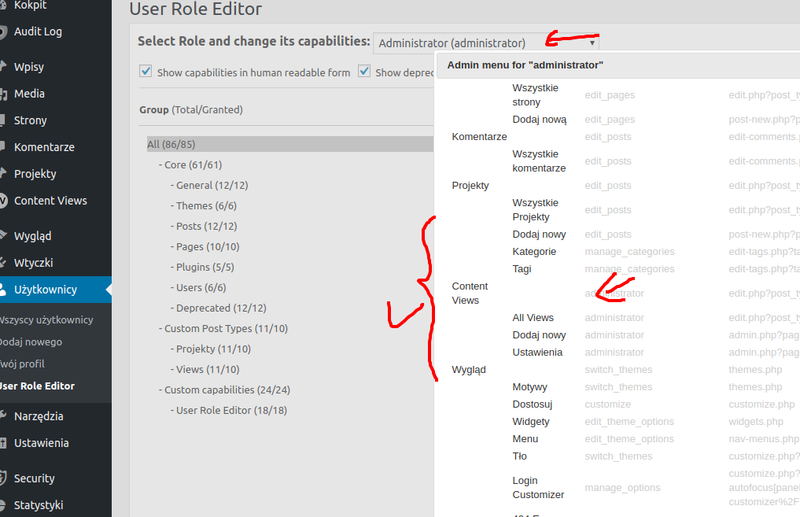 URE shows admin menu for role according to capabilities granted to this role.